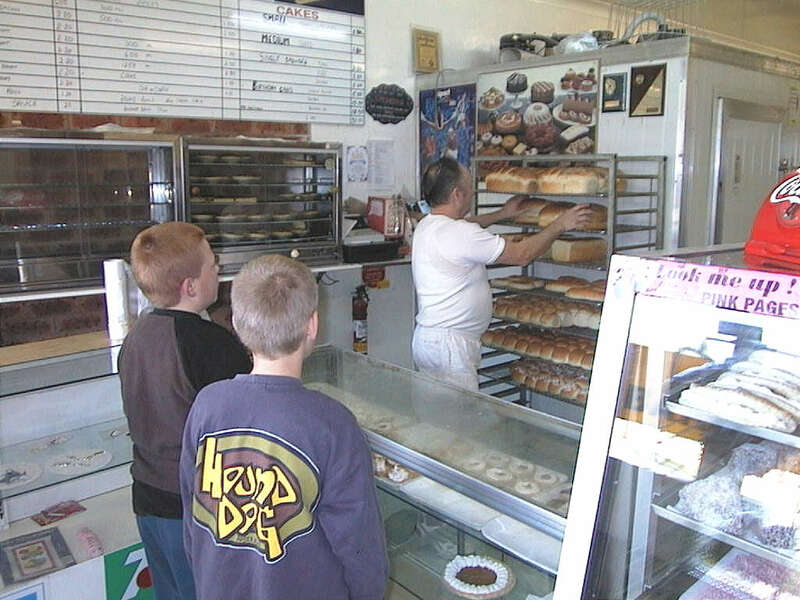 How do I know the bread is the best? I know, 'cos I buy a loaf of bread and extras for the kids every morning. The bread is usually still warm from the oven and makes the best toast and sangers! Not only does the bread taste fantastic, the price is ridiculous - $1.60 a loaf. 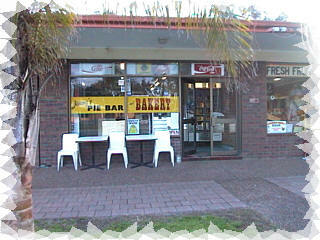 He also has a great range of hot pies - my favourite is the tomato and onion pie - beautiful! I snuck in this morning with the camera and took a few pics - have a look ... click on the pics for a BIGGER version. 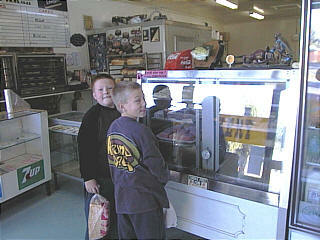 Hey mister cameraman - have you seen Jimmy - Josh and Josh from Anna Bay know who makes the best bread! That's my favourite shelf Jimmy's got his hands into. You just have to try the bread here - it tastes absolutely fantastic! Hang on for this to load-it's slow!